Everyone has a skin story. My skin story really begins in my mid teens. I grew up blissfully unaware of everything to do with beauty. A combination of being a bit of a tomboy and having a mother that really only used makeup on special occasions. Skincare was her thing and it was kept very simple, moisturiser every morning and every night. Her makeup was kept in the top drawer in her ensuite and her foundation was kept up on the shelf with her perfumes and moisturiser. I never really had much interest in it so mostly stayed away. Growing up I spent a lot of time in the sun. I grew up in the era where the slogan Slip, Slop, Slap was being introduced and sunscreen was really only used if you were going to the beach. Although my parents were from Hong Kong, they came to Australia when they were very young so being outside without skin protection was just the norm and turning brown wasn’t something to be frowned upon. Many summers spent outside meant that I had freckles and pigmentation on my face and I had never really noticed this as an anomaly, well in some Asian cultures, until I spent a summer in Hong Kong in my mid teens and noticed most of the women had perfect skin. They were shading themselves with umbrellas in the sun and using a variety of beauty products designed to whiten their skin, do everything to keep their skin perfect. This mantra for skin perfection was the complete opposite to everything that I knew. Having the perfect tan was something to strive for here in Australia and freckles were just part of that. It was at this point that I can honestly say that my skin story starts. It’s not that I wanted to strive for white skin, it was more that I understood that I needed to take care of my skin and started to test out what would work for me and define what was important for me. Since these early days of my skin story, I have come a long way in understanding what products work for me and what I’m looking for in a product. What I’ve come to understand is that my skin story is unique. My needs and preferences are my own and as long as you know what they are, you can find a product that suits you. When it comes to foundations, I’m incredibly picky. For me coverage is key. I like to ensure that I have enough coverage to smooth out my skin and lessen the impact that freckles have on my face. Purely a personal choice but I’m reminded how much sun damage I incurred in my youth and I prefer to have a smoother and even skin tone. Wearability and texture are also important to me, but one of the things I’ve always found is that it’s hard to find a product that will deliver on what I want and in the shade that I want it. Finding that true match has been hard until now. 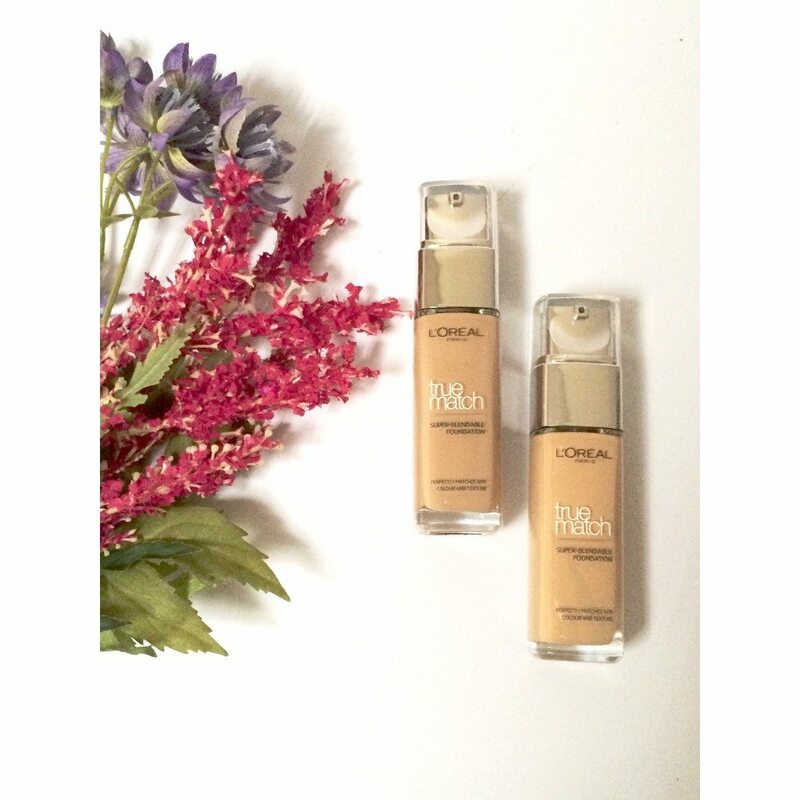 I’ve literally found my True Match with L’Oreal Paris’ True Match foundation. Finding the shade that suited me was super easy. With eleven shades, there was bound to be one for me. I took the quiz at www.findyourtruematch.com.au and found the shade to suit my skin tone, I popped down to my local Priceline and picked one up. I’ve been using this foundation for the last two months and have even taken it overseas with me on my holiday. I can truly say it’s been great. What I love about the foundation is that it provides great coverage without having to use a lot of the product. The texture is light, silky, smooth and soft which I love. I hate foundations that are too heavy and thick as I ate that feeling on my face. Only two pumps of the product provides enough foundation for my face that provides a smooth and even finish. I applied it with my finger tips after applying primer but you could equally use a sponge to apply. Because of the lightness in texture, I’d probably avoid using a foundation brush to apply. In terms of wearability, I’ve been using it in all sort of environments and it’s been really good. It provides enough wearability to get you through a day of work without having to reapply if you don’t want. I also used it when I was in Europe where the weather was extremely dry. True Match provides great hydration and wear. Some foundations I have used in drier conditions have dried out but this was a great foundation to have with me on holidays in Europe. On the flip side I used it in Hong Kong where the humidity was much greater and temperature was much warmer. Surprisingly it worked really well in the humidity and didn’t melt off like others I’ve used before in Hong Kong. This stayed in place and just a dab of finishing powder here and there made my face look perfect. The ease of use of the product with the pump applicator means you can work out the perfect amount for you with minimal wastage. Plus at half the price of some of the leading brands, it’s great value for a quality product. If you’re in the market for a new foundation or want to try something a bit different, then find your True Match here. 1. Upload a photo that tells your ‘skin story’, tagging and following @lorealparisau on Instagram OR through the LOrealParisAU page on Facebook. 2. In 25 words or less describe your photo including hashtags ‪#‎myskinstory‬ and ‪#‎truematch‬.